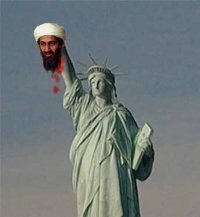 The capture and killing of Osama Bin Laden has triggered joyous scenes at “Ground Zero” in New York – the scene of his greatest crime – and outside the White House, where Barack Obama is also celebrating the sweetest victory of all in the global war on terror. But while the serpent’s head has been removed, the body -in the form of a global jihadist movement -will continue to writhe. Will the various Al Qaeda terror “franchises” be demoralised or reinvigorated? The world is holding its breath. Fresh alerts have been issued to western travellers and embassies and for good reason. 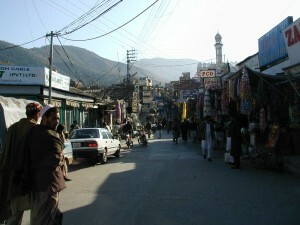 Through much of Asia, Africa and the Middle East, Bin Laden’s death won’t be celebrated but mourned. And in the eye-for-an-eye tradition of this struggle, the killing of the world’s most wanted man “is almost certain to be avenged”, in the words of CIA Director Leon Panetta. After 911 – the 2001 attack on America – thousands of people took to the streets in celebration throughout the Islamic world. Ten years later, the scenes in New York and Washington have a sobering symmetry, as triumphalist Americans shake their own fists at the cameras. We can only hope their jubilation isn’t as premature as that of Bin Laden’s followers proved to be. That said, there’s no denying the spontaneous eruption of joy that the Saudi-born Bin Laden’s killing has prompted throughout the western world. For almost a decade, he’d been a symbol of America’s impotence, the greatest power the world has ever seen mocked by its Public Enemy Number One from within the borders of one of its supposed allies – Pakistan. 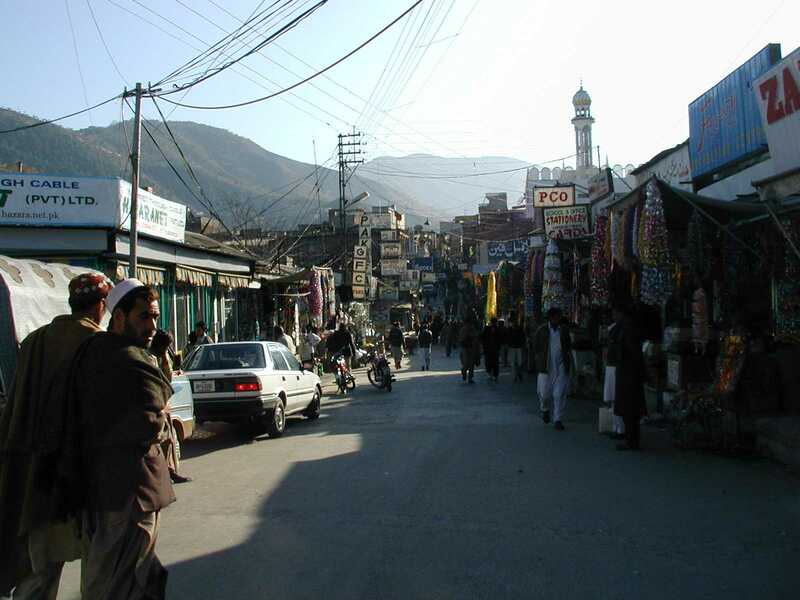 Many questions remain unanswered about the circumstances of Bin Laden’s capture in the largely middle class garrison town of Abbottabad – named after a British military officer, James Abbott, who established a hill station there in the days of The Raj. The fact that he appears to have spent up to seven years in a spacious villa less than 50 kilometres from the Pakistani capital, Islamabad, raises fresh questions about the resolve of the Pakistanis to bring him to justice. Some of the most powerful elements in Pakistan -and especially within its secret service, the ISI- are undoubtedly Bin Laden supporters. They set up the Taliban regime in neighbouring Afghanistan, supported its extreme interpretation of Islam and its decision to harbour Bin Laden in the first place. How was he able to live in a specially-built million dollar mansion so close to the Pakistani capital? Indeed, within 200 metres – according to some reports – of the country’s main military training camp? This is a major embarrassment for Pakistan and its relations with the US seem certain to have their own day of reckoning. In his national television address announcing Bin Laden’s capture, President Obama was deliberately imprecise about the circumstances, which involved a team of US Navy Seal special forces operating without the knowledge of the Pakistanis. After months of suspecting the Al Qaeda leader’s hiding place, he ‘d issued an order “to get Bin Laden and bring him to justice”. This implied an effort to capture Bin laden alive and bring him before an American court. Yet in the next sentence: “After a firefight, they killed Osama Bin Laden and took possession of his body”.What precisely did this mean? That he was killed after the firefight? Within hours, we’d been told the unvarnished truth. This was a “kill operation”, said a US National Security Agency source. There was never any intention of taking Bin Laden alive. Had that happened, American citizens and assets throughout the world – along with those of its allies – would have been under immediate and lasting threat of reprisal. The Al Qaeda leader had to be killed irrespective of the legal niceties or the willful transgression of Pakistani sovereignty that the mission entailed. Obama will be the toast of even his most vociferous critics on the American Right. Grubsheet had its own close encounter with Osama Bin Laden back in 1999, when we traveled to Afghanistan in an attempt to meet him for the SBS Dateline program. It was in the aftermath of the Al Qaeda bombings a year before of US embassies in Kenya and Tanzania that killed 224 people. We were in the company of the distinguished Pakistani journalist, Rahimullah Yusufzai, who’d had several celebrated encounters with Bin laden and was willing to take us to him. We got as far as the anteroom to the office of the Taliban leader, Mullah Omar, in his stronghold of Kandahar, after a perilous road trip from the Pakistani city of Quetta. We waited patiently outside as the courtly Rahimullah put our case to the infamous Taliban leader. Alas, Mullah Omar sent us his greetings but said that he was “unwilling to meet with infidels” and neither was his famous guest, Bin Laden. He offered us his then foreign minister, Mullah Mutawakkil, in consolation. It was the first western interview with a Taliban leader in three years. But no coconut. 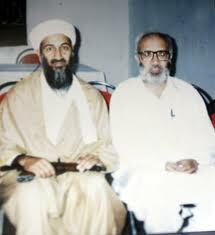 We knew that Bin Laden was making frequent trips from his desert hideout to see Mullah Omar. Suddenly, the streets of Kandahar would be sealed off and a fleet of white Landcruisers with blackened windows would descend on Mullah Omar’s compound. The Taliban leader was kind enough to ask through Rahimullah whether we’d care to witness his own particular brand of justice being dispensed before thousands of people at the local stadium. It was on condition that our cameras were left behind so we politely declined. We’ll never forget the roars of approval that reached our nearby compound as a woman was stoned to death for adultery. Yes, the Taliban had made Afghanistan safe for ordinary people from marauding gangs. But it was arguably the most repressive regime the world has ever seen. The Taliban must rue the day that it ever agreed – on a strict Koranic interpretation of the notion of hospitality – to give Osama Bin Laden refuge. It would have still been in power today had it been able to restrain its guest from rousing the American giant to anger. The one-eyed Mullah Omar is still on the run and like Bin laden, is also thought to be hiding in Pakistan, the beneficiary of a shadowy power structure turning its own blind eye to the monster it created. The body of his former guest has now been “buried at sea” – in the words of the American announcement – in the time honoured tradition of giving no “martyr” a permanent resting place that can become a shrine of pilgrimage for his followers. Rahimullah Yusufzai is now the BBC correspondent in Peshawar and thinks the death of Osama Bin Laden means that al-Qaeda can no longer operate effectively as a military operation. 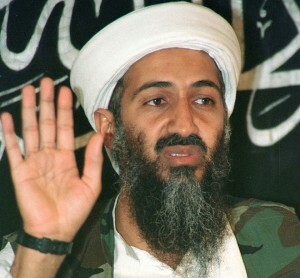 “Although Bin Laden will be identified as a martyr, al-Qaeda will not have the same strength and importance”, he says. Rahimullah argues that Bin Laden’s deputy, Ayman al-Zawahiri, doesn’t have the same influence and will inherit an organisation that is “diminished in strength”. However much that may be the case, the so-called war on terror isn’t over. Far from it.